Jack has no illusions that Hope is going to walk through his door someday. He’s quite sure she’s dead. All he can hope for now is to learn her fate, and perhaps to bring her body home. Jack has never been the adventurous type. He’s led the most ordinary of lives. He’s not much for confrontation. But he decides he must track down Slater Babcock and somehow get him to reveal what he did to Hope. He recognizes, however, that he is not up to the task. To do what must be done, he has to become a different man; but if he gets on a plane to Key West, he will be the same man when he gets off. So Jack buys himself a Harley-Davidson Road King and some leathers and rumbles down the highway, as lonely as cowboy riding into the sunset. His first stop is Madison. There, he cruises the University of Wisconsin campus and stops in on the detective who is in charge of Hope’s case—and who has no news. From there, Jack sets off on the 1,700-mile journey to Key West, hoping he will be man enough to do what needs to be done by the time he reaches his destination. Although exactly what needs to be done, Jack cannot yet say. The author of this extraordinary new novel is William Wells, a well-remembered figure from my distant past—although back then he was Bill Welt, the last name carrying a mildly disquieting connotation. In the 1970s, Bill and I were privileged to be part of a group of extraordinary young journalists who peopled the newsroom of The Providence Journal, then perhaps the finest small-city newspaper in America. Eventually most of us moved on to the big-time, to The New York Times, The Wall Street Journal, The Associated Press. But Bill, who we grudgingly admitted was the best writer among us, took a different path. He joined the enemy, becoming a speech writer for the governor of Michigan. Later he was a marketing agency executive, a custom publishing company owner, and the writer of an internationally syndicated comic strip. Now, all these years later, I am startled to discover that our divergent paths have somehow led us to the same place. My first crime novel, Rogue Island, was published by Forge last year, the second, Cliff Walk, will be published in May, and I’m working on the third. 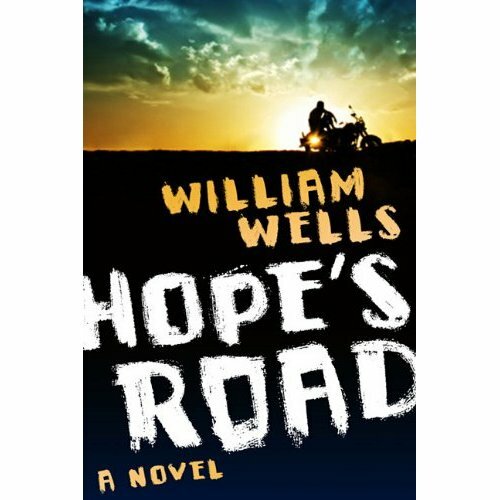 Bill’s first novel, Hope’s Road, will be published in April, and he’s hard at work on another. Hope’s Road is a remarkable tale of heartbreak, healing, and self-discovery written in a lyrical style that is by turns muscular and elegant. The story is romantic yet unwaveringly clear-eyed about life—and death. The book reminds me a bit of Thomas H. Cook’s best literary crime fiction—masterpieces like Red Leaves and The Fate of Katherine Carr—although Cook’s plots tend to be more complex. Hope’s Road is certain to make my list of the best debut novels of the year. On his long journey to Key West, Jack Tanner encounters a series of characters as memorable as any I’ve read in years. There’s Hannah, the young street hustler who befuddles Jack with her charms; The Devil’s Disciples, a group of weekend-warrior motorcyclists heading to Bike Week in Daytona Beach; a Hemingway impersonator who may, or may not, have deluded himself into thinking he is actually the great man himself; and, finally, Slater Babcock—Jack’s personal white whale. What Jack learns from them (mostly things about himself), and what he finally does in the end, will not be revealed here. That is something to be savored as you read this fine literary crime novel. Hope’s Road is available for pre-order here. This entry was posted in Uncategorized and tagged Bruce DeSilva, crime fiction, Hope's Road, literary fiction, mysteries, Providence Journal, William Wells. Bookmark the permalink.